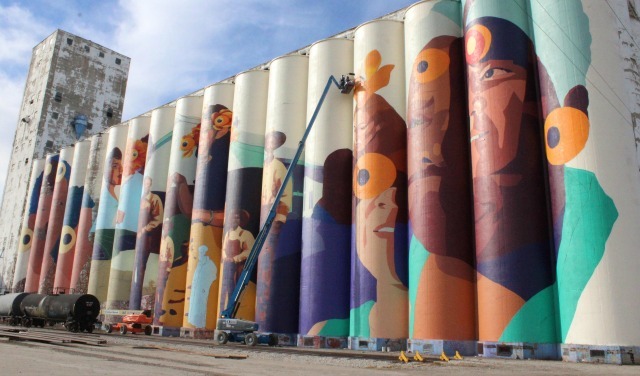 Improbably, we found a welcome break from MAGA-hatted punks and the debacle that is D.C. in Wichita, Kansas, where immigrant artists are breaking down barriers, celebrating disparate cultures, bringing together Latino and African-American neighborhoods, and oh yeah painting reportedly the world’s largest, wildest mural by a single artist, on grain elevators yet. 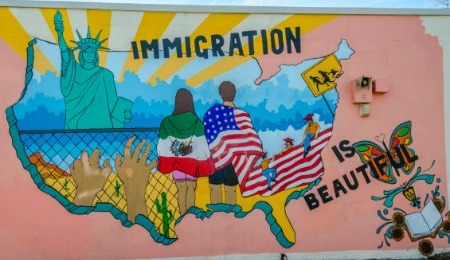 The eruption of art and activism is the work of Horizontes, (“horizons” in Spanish), a grant-funded initiative created by artist and community organizer Armando Minjarez, who immigrated to the U.S. in 2001 and seeks to celebrate both immigration and the rich culture and history it brings to communities. An exhibit of Horizontes’ projects opens this weekend at Wichita’s African-American Museum. To read more about Horizontes, click here. And here. 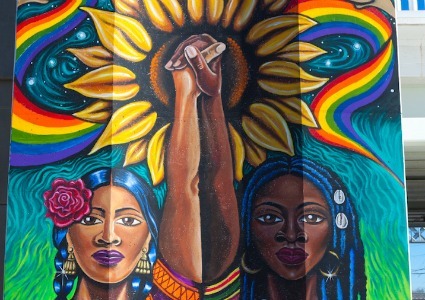 This entry was posted on January 27, 2019 by Vox Populi in Art and Cinema, Opinion Leaders, Social Justice and tagged A Dream Where Our Differences Are Erased, Abby Zimet, African-American museum, Hispanic immigration, immigration, In Mexico City Artists Cover World's Largest Market In Murals, Lynching Museum in Montgomery Alabama, Martin Luther King Jr, Mi Amigo Bill Salatino El Montonero, National Civil Rights Museum, Wichita Kansas.